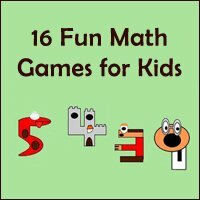 Using fun math games for kids is a great way for you to teach your kids math. 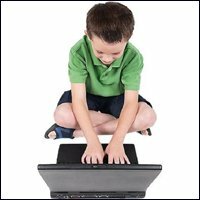 The truth is that these kids math games will enable your kids to learn their mathematics a whole lot easier. Simple answer: Because games (whatever the topic) are fun! 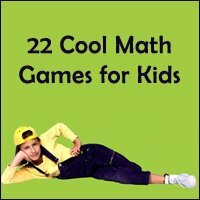 Whether your kids already love math or not - these cool math games for kids will make math a whole lot more fun, and teaching cool math for kids can be the secret to help your kids learn math quickly and easily! 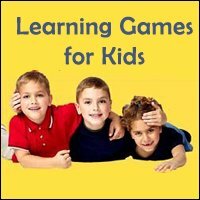 Also there is an endless amount of information online, and you can find all kinds of free math games to play with your kids. 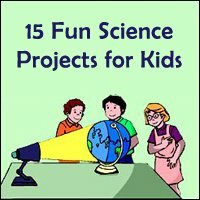 There are elementary math games for your smaller children, math multiplication games for older kids, math fact games to make it fun, math addition games to help your child practice their addition, math fraction games to help them practice using fractions, printable math games that you can download and print out for fun at home, and free online math games and online primary math games that your kids can play on their computer. Teaching math to small children is usually a whole lot more challenging, as small kids don't usually have the ability to sit still and focus for long periods of time. The truth is that little kids will take longer to learn math, which is why using fun math games for small kids is so important. 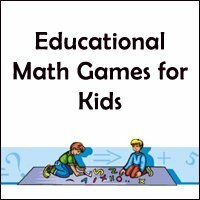 Elementary math games can be a blast, though it will be a challenge to get your kids used to playing these fun math activities. This fun math game for kids uses a system similar to the Roman numeral system to count, but rather than using the I, V, and other letters to count, you will be using pictures. Select something that your child can easily draw, such as faces, balls, animals, etc. You will assign a picture to each number, i.e. 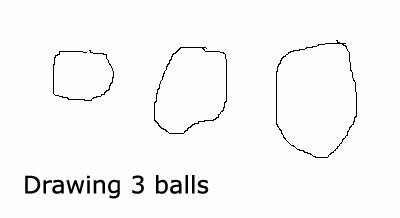 a face is 10 while a ball is 3. Give the child numbers, and have them draw the correct number of pictures to count out the numbers. It can be a good way for you to teach your child what bigger numbers really are, which can lay the foundation for learning larger numbers later on. Pull out a deck of cards and play a game with your smaller children. This game involves turning over a single card from the deck, and determining which person has the higher number. This fun math game will be good for children to learn both number recognition and counting, as well as comparison. Have each child count on their fingers the number that is displayed on their card, as that will help them to practice counting high. 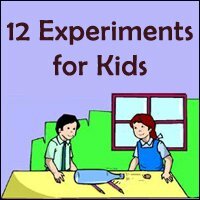 Working with your child in the kitchen is an excellent way to help them to learn more about math, especially if they enjoy doing food related activities. Give each of the kids a simple recipe to prepare, a recipe that calls only for items of whole numbers. For example, a pancake recipes calls for 2 eggs, 3 cups of flour, and 1 cup of milk. 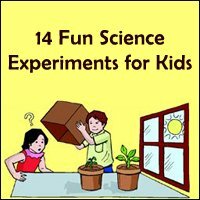 Have your kids measure the right amount of ingredients in the cups (using the opportunity to teach them about the measurements), and have them mix the recipe together and enjoy the results of their hard work. 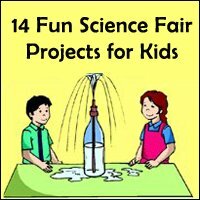 These are just a few simple elementary math games that you can play with your kids, but there are hundreds more fun math games for kids that you can create if you will get a bit inventive and look for ways to make math fun. Primary math is when things start getting a bit more complicated, both for parents and teachers. The kids have learned how to sit still, but they haven't yet built all the practical foundation of math that they need. This is when you need to start working on teaching them simple math skills, laying that groundwork for the future math classes that they will have. With this fun math game for kids, you will be using a simple deck of cards to teach your children the concept of higher or lower, lesser or more. All you have to do is flip over a card for each child (making sure to take out the face cards). The child that has the highest card is the winner, and you can keep track of the score on a piece of paper. It will be a simple way to teach your kids this important concept, and you can even teach them the symbols for "less than", "greater than", and "equal to" to get their math education advancing rapidly. 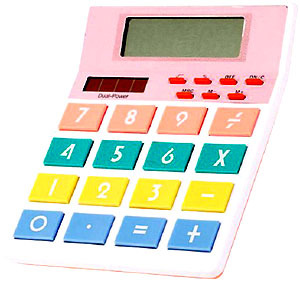 With this game, each child will write down the numbers from 1 to 13 on a piece of paper. You will then take a deck of cards and flip them over one by one. 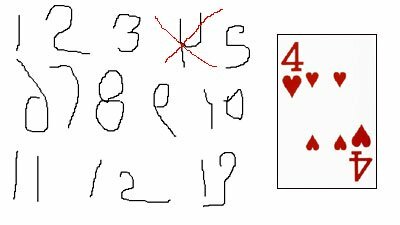 The face cards will be given the proper number value (J is 11, Q is 12, and K is 13) with the Ace being 1. The kids have to take turns flipping cards over, with the goal being to cross all the numbers off their list. It's like a more complicated form of Bingo that relies on luck, but it can be fun to help your kids get used to quickly identifying and remembering numbers. The purpose of this game is to get the kids used to doing simple sums. 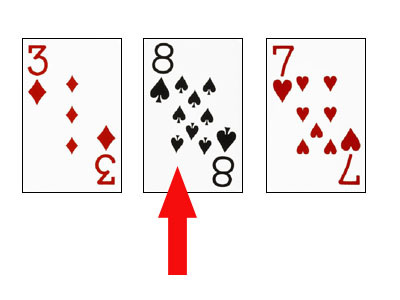 Take a deck of cards, remove all the cards higher than 7, and shuffle the rest. 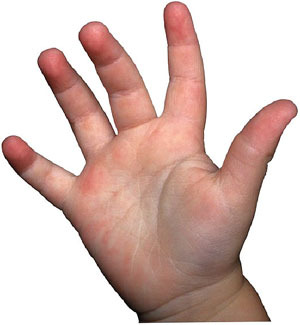 Give the kids each two cards, and have them count the number on their hands or do the problem on a piece of paper. The kids will have to tell you what the sum of the two cards is, and they will have to see which child has the highest number. If two children have the highest number, give them the chance to pick another card from the deck (without looking at the card of course), and the final result will dictate who has the highest number. The truth is that these primary math games are very simple, but they are incredibly useful for teaching your kids simple mathematics. 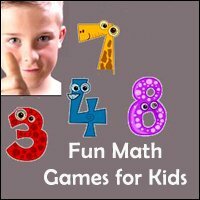 You can use these fun math games for kids effectively to help your kids learn, and you will find that math will be a lot easier for your kids if they can play fun math games for kids that will teach them to use math practically in an entertaining way. 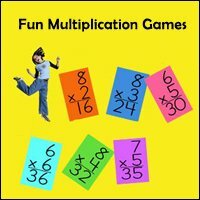 Multiplication math games are great for teaching the times tables, and it will make multiplication a whole lot easier for your kids. The truth is that multiplication is when most kids start having a hard time with math, as it almost defies the simple logic of a child to do multiplication problems. These multiplication math games will help your child to practice their times tables and do math problems, but without making them boring or monotonous. In this fun math game for kids you take a regular deck of cards and remove all the numbers above 8. Shuffle the cards and hand out all the cards to the kids (make sure that they all have the same number of cards). Have them each draw two cards from the top of their pile, do the multiplication problem, and write that number down on a piece of paper. They then proceed to the next pair of cards, and so on until they have reached the bottom of their pile. They will then add up all the products of the multiplication problems, and the winner is the one that has the highest number at the end. As your child goes learning higher times tables, you can add in the rest of the cards. 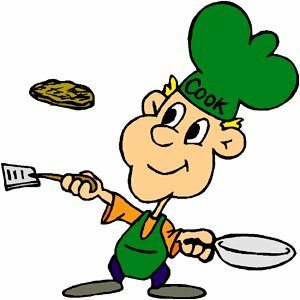 For cooking time in the kitchen, you can use recipes to help your child learn simple multiplication problems. 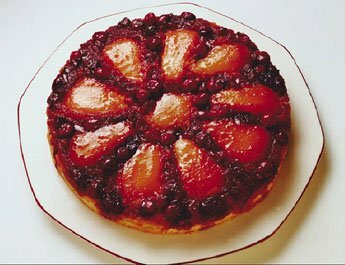 Get out a recipe and divide it into a quarter or a sixth (whichever is easiest for you) to obtain a recipe that will make a very small cake, pancake, etc. 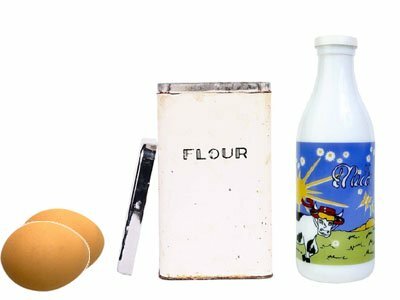 Tell your child, "We need to make it bigger, so can you tell me how much of each thing I will need if I were to use (twice, three, or four times) as much of the ingredients?" The kids can figure out how much of each thing you will need, and you can work together to make a delicious recipe that can be enjoyed as a rewarding snack! This fun math game for kids is going to be even more challenging, as your kids will have to think creatively about how to use multiplication to obtain the highest number. 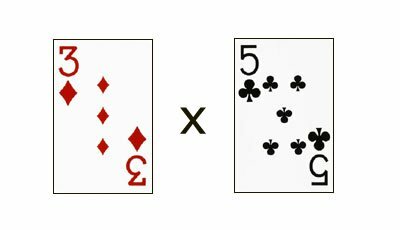 Give each of the children four cards, and have them figure out which combination of numbers will give them the highest sum. 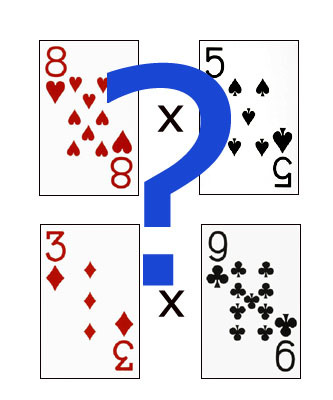 For example, if your children have the cards 3, 6, 7, and 8, they have to determine which combination of pairs will make the highest number (3 x 6 and 7 x 8 or 7 x 6 and 3 x 8, etc.). It gets them thinking creatively, and will help them to practice their basic math skills and put them to good use. Multiplication math games can be a lot of fun for kids, and you may find that your kids can use the practice when it comes to their times tables! At least this way they won't be thinking that they are doing school work, but they will really be learning and practicing in a fun way! Addition is the easiest of the math principles, and yet most of the children that learn addition are very small and fairly new to math. In order to teach addition, you are going to have to be very patient with the children. It might be a challenge for them to learn, so you are going to have to give them time to go at their own pace. Rather than being discouraged by slow progress from your students, why not find a way to make the addition a lot more fun with these math addition games? 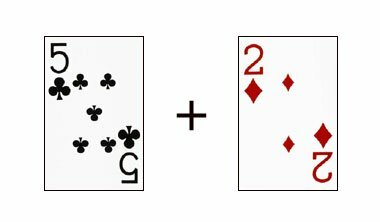 In this math game you take a standard deck of playing cards, and divide the deck into each suit (clubs, spades, hearts, and diamonds). Get as many decks as you need, and give a suit to each child. Have them count the cards in the suit, and add up the numbers (remember that the Jack is 11, the Queen is 12, the King is 13, and the Ace is 1). Have them do the math on a piece of paper, adding up each of the cards one by one. They should all obtain the same number at the end, and you can help anyone who gets the problem wrong to do it right. Shopping can be a whole lot of fun, especially for smaller children who get to spend special time with Mommy. To have fun and turn shopping into one of the best math addition games to play with your child, bring them along with you to the supermarket. Have them bring a calculator, and teach them how to use the "+" symbol to add up each item as it is added to your cart. They will tell you how much the total for the items should be, and you can help them to add on the sales tax. Round off to the next dollar, and have them obtain a final number of how much the purchase should be. This one of fun math games for kids is a game that will be a bit more complex for small kids to learn, though it will be great for teaching kids to think and use logic to solve complicated math problems. With this game, have each of the kids turn over a card one at a time. The deck will be a regular one, but with all the numbers higher than 6 taken out (the Ace is the 1). The children will turn over a card, and they will have to decide if they will count the number as a 1 or a 10 (i.e. turn over a 6 and count it as 6 or 60). The goal is to reach 100, but 100 exactly! If the child draws a number that puts them over 100, they go back to 50 and start again. It can be a whole lot of fun, and it will help kids to think rationally about how to add specific numbers to make one larger number exactly! These fun math games for kids will be just what your kids need to practice their addition, and they can be a whole lot of fun for kids that are just discovering the amazing things that they can do with their pluses and minuses. They can be challenging, but you can simplify the games if your children are just learning arithmetic. All in all, they can be the best way to make it easy for your kids to practice arithmetic without feeling bored or like they're doing school! Fractions can be challenging for kids, and there are many kids that just don't get fractions because they don't understand the concept of "less than a whole". Teaching kids fractions using math fraction games can make it fun (and tasty ;-) depending on the game!). Just like you doubled or tripled the recipe for multiplication, you will cut the recipe in half to help your kids learn fractions. Take a simple recipe that calls for a whole number of ingredients (1 egg, 3 cups of milk, etc. ), and tell your kids that the recipe will make too much. 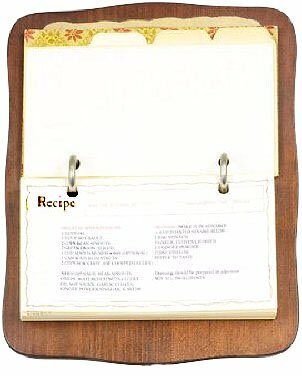 They will need to cut the recipe in half in order to make just the right amount, and they can use a piece of paper and a pencil to do so. Teach them how to make ½ fractions, 1/3 fractions, and ¼ fractions, as well as what they mean. It will be an effective way to help them practice their use of fractions in a real life situation. Popsicles can be a tasty treat for the family, but they can also be a good way to teach your kids about fractions. 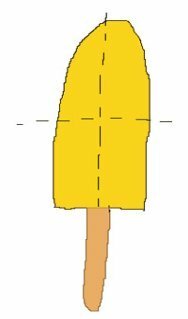 On a piece of paper, draw a popsicle from a side perspective. Use lines to show your child what half the popsicle is, what a quarter is, and what an eighth is. Give them specific instructions, such as "use 1/8 of a cup of water", "add ¼ cup of orange or lemon juice" etc. The kids will be able to make their own popsicles, practicing using fractions at the same time. The result is a tasty treat that they can enjoy, all thanks to the fact that they have learned fractions. Dinner time has arrived, and Mom has made a tasty pie for dessert or served pizza for dinner. However, there is only one pie, and there are three, four, five, six, or eight of you to eat it. How does this work? This is a perfect chance for you to give your kids practice with their fractions, and you will find that it is a very practical opportunity for them to learn how it works to divide fractions even smaller. First cut it in half to show them what half is, then cut that in half to teach quarters, or cut it in thirds to teach sixths. The idea is that your child learns fractions in a real environment using skills that they will need for the rest of your life. These fraction math games will be just what your child needs to help them learn math. Math doesn't have to be the most difficult subject for your child, and the truth is that they can enjoy learning math a whole lot more - but only if you make it fun for them. You might be surprised to learn that there is a little bit of math and a whole lot of fun in just about everything! 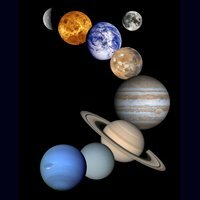 and Fun Kids Astronomy Games.